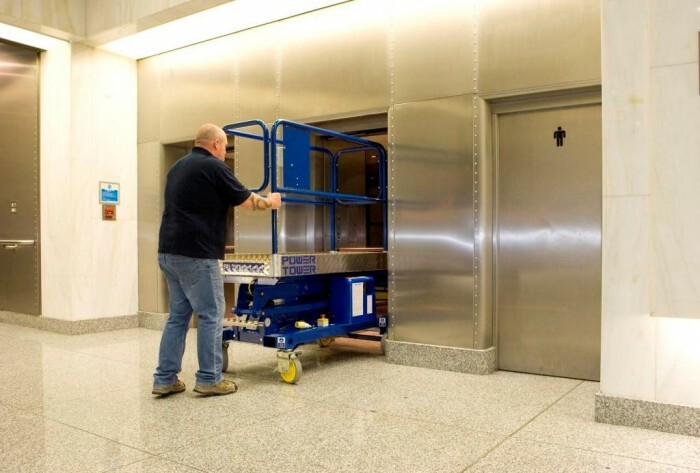 Ergonomically designed to be safe and simple to use for applications where access is limited. 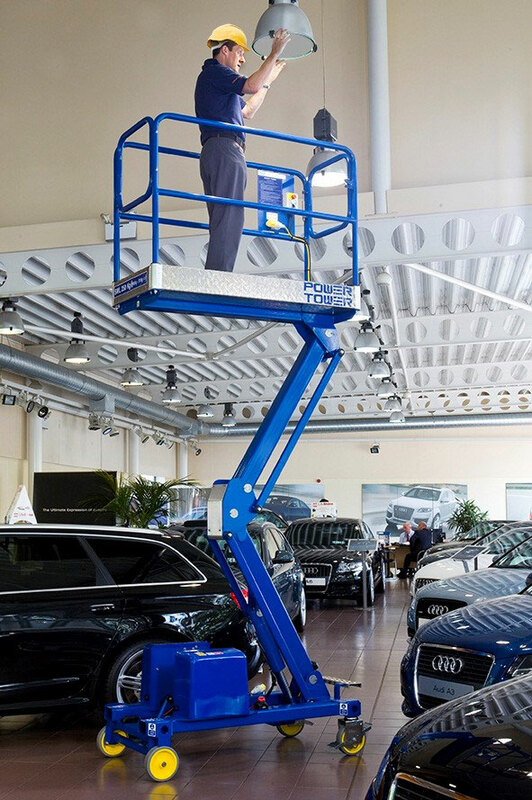 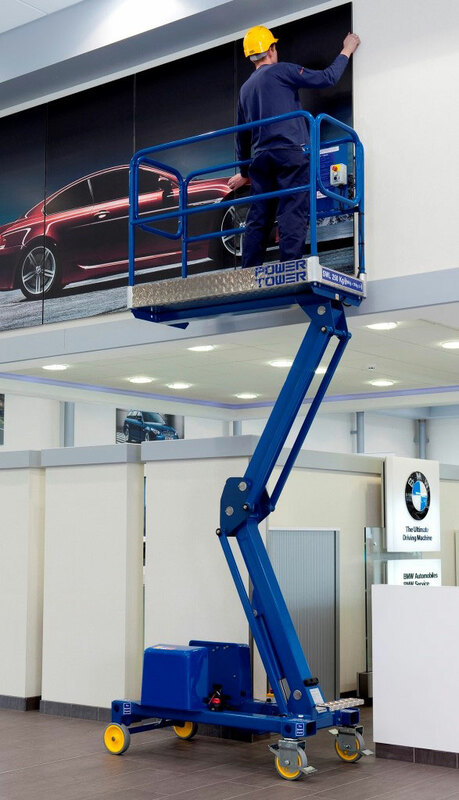 Power Tower is a push around powered platform providing the operator simple access up to 5.1m working height with a compact working footprint of just 780mm x 1500mm. 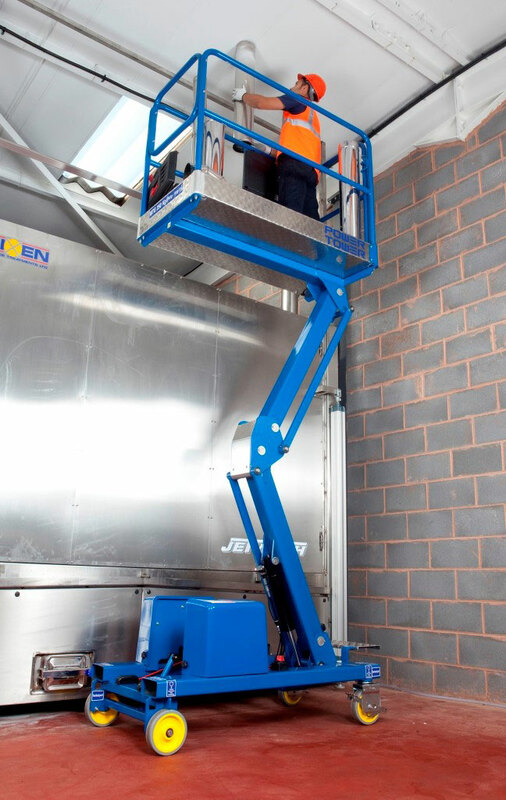 This unit does not require out riggers which makes it safe to use in busier environments.